This entry was posted on Thursday, May 7th, 2009 at 9:39 pm and is filed under Uncategorized. You can follow any responses to this entry through the RSS 2.0 feed. You can leave a response, or trackback from your own site. 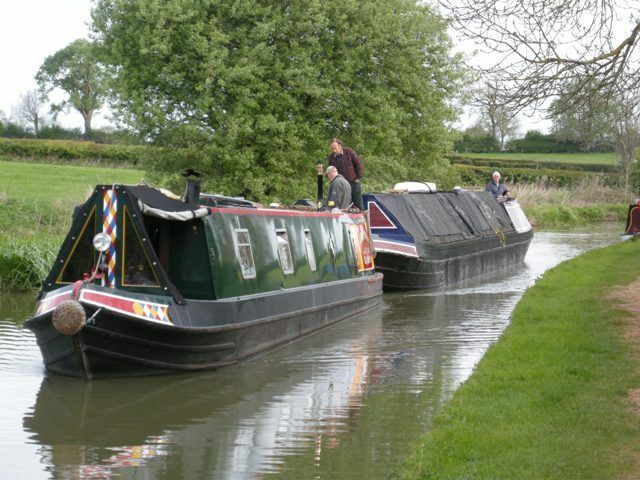 We passed you last weekend – both boats looked mighty fine! It obviously takes a LOT concentration to manouver such a long convoy through those bends…..
Sue, great to make connections on the cut as well as the web. It was surprisingly not so difficult to steer and manouvre, the butty helps a lot in the tight bends around the summit over Fenny.